HARLINGEN — Police suspect 31-year-old Adrien Salas was feeling the heat. About 5 a.m. Thursday, police posted the Harlingen man’s name and photograph on social media, identifying him as a suspect in a hit and run that killed a Harlingen woman last week. Later in the day, Salas called police saying he wanted to turn himself in, police Commander David Osborne said. Salas was wanted on a charge of intoxication manslaughter, a second-degree felony. Police said they have video of him drinking at a restaurant and bar the night of the collision. When Salas called, he was in Pecos. Harlingen police coordinated with Pecos police to arrange his arrest. He taken into custody in Pecos about 1 p.m. Thursday. “We contacted local authorities (in Pecos), and they went by the location where he claimed he was at,” Osborne said. “He was there. He surrendered peacefully to law enforcement, and he’s now in custody. Salas is accused in the death of Natividad “Nati” Chavez, 57, of Harlingen. 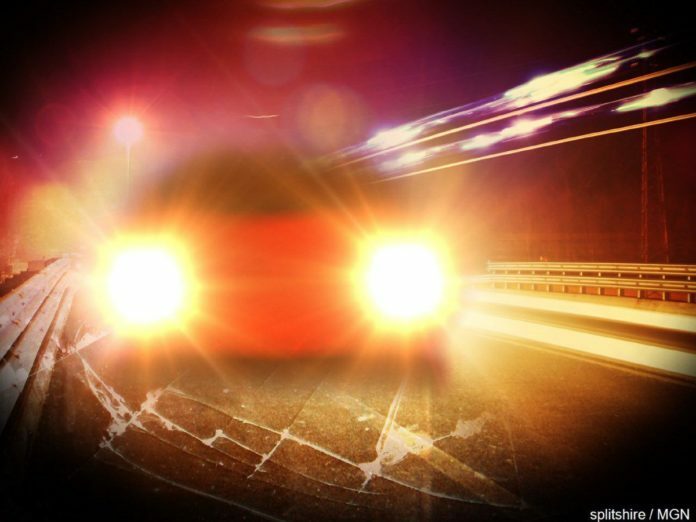 Police said she walking across the 1100 block of South 77 Sunshine Strip about 10 p.m. May 11, when she was hit by a car. The car didn’t stop, continuing northbound and turning eastbound on Tyler Avenue. Police obtained surveillance video from several businesses in the area of the collision. The video, combined with debris left at the scene, led them to believe the car was a 2013-2016 Ford Fusion. Police found the car Wednesday night, a silver 2013 Ford Fusion. They obtained a warrant on intoxication manslaughter based on evidence that included video of him consuming alcohol at a restaurant bar in the area surrounding the collision scene, a police press release said.